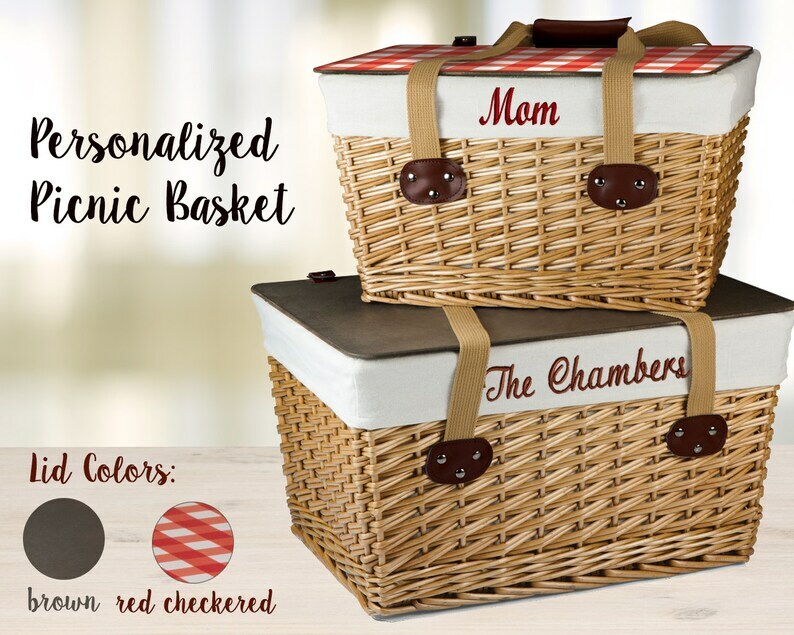 This versatile and charming personalized picnic basket makes for a perfect wedding gift or engagement gift! 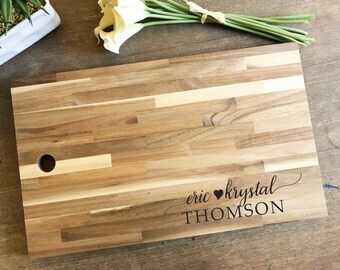 Great as mother's day gift, teacher appreciation gift and thank you gift as well. Fill it with amazing treats or give it as is, the recipient will truly appreciate this thoughtful gift. The picnic basket is made with an attractive double-strand weave design, and its lid is made of a stained composite wood that can be used as a level surface to hold drinks, plates or other items. The basket is lined with a removable, form-fitted poly/cotton cover that folds over the rim and stays securely in place with two sets of tie straps. Two long cotton canvas straps can be secured together with a fastening handle for comfortable carrying. 17.5" x 14.75" x 12.5"
Processing time is 2 weeks. Shipping is UPS Ground. Please contact us if you need the item sooner. Two corners of the tray were slightly damaged upon arrival despite being wrapped. Given the price, I am very disappointed by this. I apologize for the inconvenience. I try to pack all of my orders as best I can but sometimes orders get damaged during shipping. This is beyond our control and the fault lies with the postal carrier, however, customer satisfaction is important to me and I will always do what is necessary to make it right for our customers. I would be happy to send a replacement cover. Please send us a message along with photos of the damage so that we can correct this problem. Thank you! Smaller than I thought it would be....also, not the color I picked out for the font. I thought I chose a teal color, but ended up being baby blue . Also, the lid of the basket doesn't stand up like shown in the picture....which is unfortunate, because I got this basket as a wedding gift & filled it like a gift basket....would've been nice if it had done what the picture showed. Disappointing for the price, but still a nice gift. Loved it! The smaller size was bigger than I imagined & couldn't be happier. 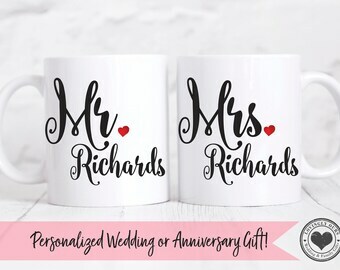 Great gift for my best friend!